Hockey Book Reviews.com: The Year of the Canucks . . . wait a minute! The Year of the Canucks . . . wait a minute! 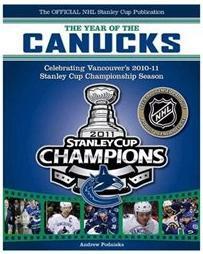 Vancouver Canucks fans wish this book was a reality. Chapters actually has a listing for it, although it does say "temporarily unavailable for order." Mind you, the publishing date is 2035. That's an awfully long time away Canucks fans.